Brick House (400 E. 31st St.), a burger restaurant and craft beer bar located in Martini Corner, will soon be home to a nanobrewery. Ebert Brothers Brewing Company plans to open a one-barrel brewery on the third floor of Brick House by early summer. Longtime homebrewers Clint and Luke Ebert bring different skill sets to their venture. Luke is a molecular biologist while Clint has worked in beer sales for seven years. The brothers have been homebrewing since 2001. Both paratroopers in the U.S. Army 82nd Airborne Division, Luke and Clint took a break from homebrewing when they were each deployed overseas twice for a total of 16 months and 18 months, respectively. They resumed homebrewing after their tours of duty. 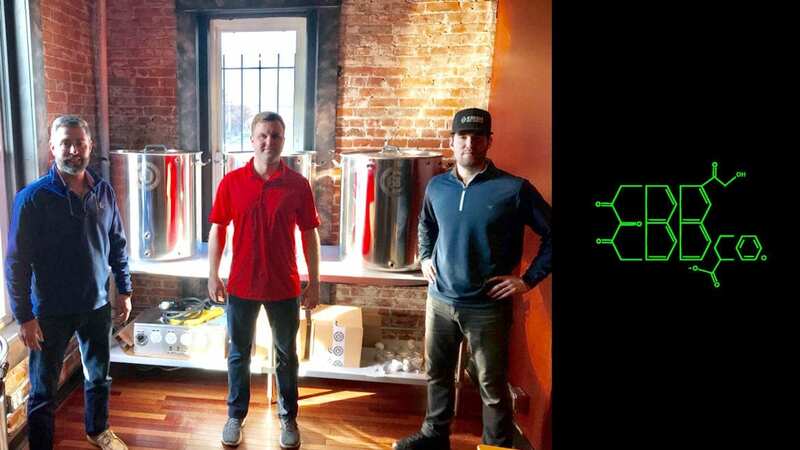 A family connection to Brick House owner Tyler Humar led to plans for a nanobrewery at Brick House, known for its wide selection of canned craft beer. If demand grows for their beers, the Eberts have plans to open a second larger brewery with a seven-barrel brewhouse in a separate location. If the second brewery manifests, Luke said they’re thinking of expanding their reach. Maibock is associated with the arrival of spring and the month of May. 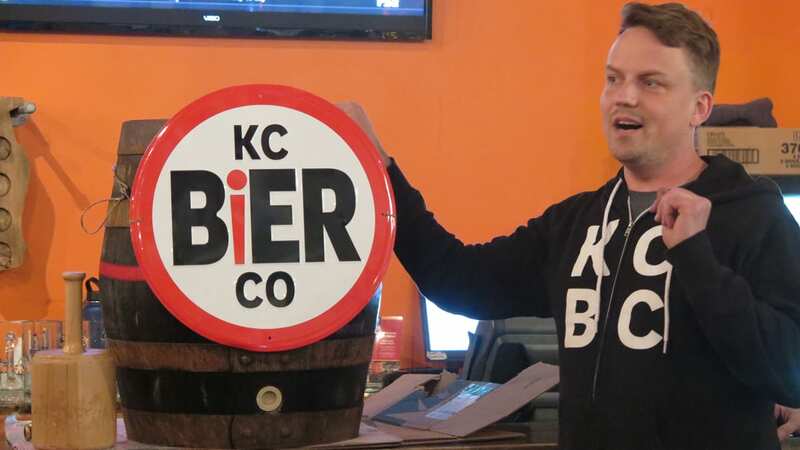 However, Kansas City Bier Company (310 W. 79th St.) recently released its Maibock (6.2-percent ABV, 18 IBUs) in mid-March with a special keg tapping at Bier Station. The beer is now available on tap at the brewery and select locations around Kansas City. The German beer style is a variation of bock, which ranges from 6-7-percent alcohol by volume (ABV) and is malty with light hops. Maibock is a newer style that’s less malty and more hoppy than bock. It is most commonly made with a portion of slightly toasted Vienna malt, which is slightly darker than Pilsner malt. As a result, Maibock is darker than a Pilsner, Helles lager, or Hellerbock, a Helles brewed to bock strength. 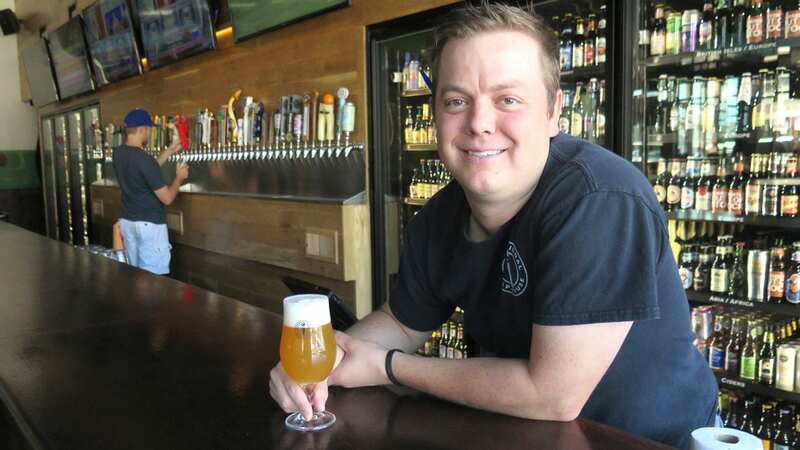 For Kansas City Bier Co. head brewer Karlton Graham, a beer that tops seven-percent ABV is too strong to enjoy a Masskrug, a hefty German beer mug that holds a liter in volume, over a period of time or at a spring festival. The arrival of Kansas City Bier’s Maibock in March is the result of “season creep.” This beer-industry term refers to seasonal beers that arrive on tap or packaged on retail shelves in advance of a season. Kansas City Bier Co. isn’t the only brewery impacted by season creep. Many breweries that sell beer through a third-party distributor must accommodate distribution schedules. With more than 6,000 breweries in the U.S., competition has intensified among breweries that distribute to obtain and retain shelf space though the season. As a result, spring, summer, Oktoberfest, and winter beers regularly appear at liquor stores and supermarkets in an early-to-market cycle ahead of the season. Managers and brewers at taprooms work with their bartenders and servers to educate them about styles and beer attributes. This knowledge helps taproom professionals better serve the public as craft beer drinkers encounter a dizzying array of names and styles. International Tap House (403 E. 18th St.), manager Jon Whitaker educates staff by beginning with common knowledge on standard beer styles, history, glassware, tasting notes, and other basics. Team members taste beers to learn about and discuss styles. “It’s allowing them to use their personality in a way that might help them better describe that beer to one of our customers,” Whitaker said. Whitaker regularly reminds and encourages his team to try everything on tap. Employees are also encouraged to independently advance their education through reading and getting certified as a cicerone. The company reimburses employees for earning certification. Once a month over the past few months, Double Shift Brewing )412 E. 18th St.) head brewer Bryan Stewart has held Beer School for his employees. Now, assistant taproom manager Spencer South is in charge of employee and customer education. At Kansas City Bier Co. (310 W. 79th St.), weekly beer tasting panels help reinforce general front-of-the-house training for bartenders. Brewery sales representative Nathan Schriner prepares the tasting panel. To do so, Schriner will place beers in an oven at a high temperature to speed up oxidation, pour beers hours before the panel to expose it to oxygen and leave the beer in sunlight. Through exposure and weekly tasting on the panel, bartenders can “develop a sensory memory and identify flavors at lower thresholds in the future,” Schriner said. Amy Pepper, general manager at KC Bier, sends out a weekly update to staff that highlights a featured beer with details about availability (year-round, seasonal, special, limited release), ABV/IBU, flavor profile, what hops were used and brewing method. Then the staff tastes the beer, discusses it throughout the week and presents how they’d sell and describe it to a guest. 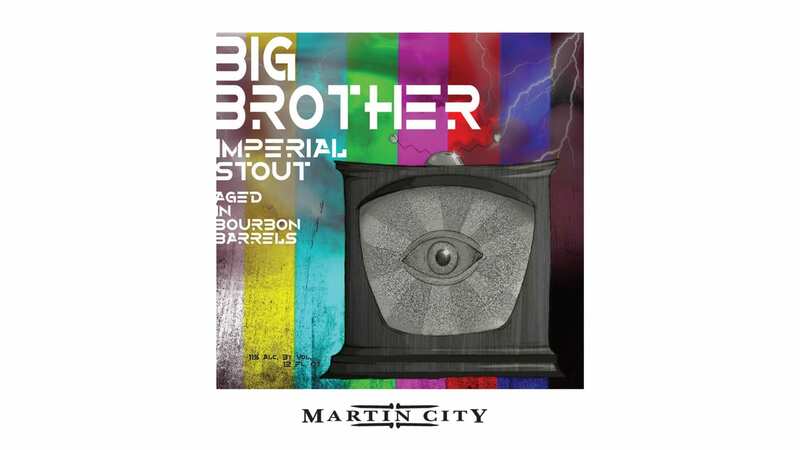 Martin City Brewing Company’s Big Brother Bourbon Barrel-Aged Imperial Stout (11-percent ABV, 46 IBUs) is available as a limited release available in four-pack cans and draught. Boulevard Brewing Company recently announced its beer will be sold throughout the state of Nevada. Breakthru Beverage Nevada will distribute. Boulevard’s Tank 7 Farmhouse Ale, Unfiltered Wheat Beer, Tropical Pale Ale and various seasonal and limited releases will be available in 40 states and the District of Columbia beginning in April. In other news, Duvel Moortgat, parent company of Boulevard Brewing and Firestone Walker, was ranked fifth out of the top 50 craft beer companies based on beer sales volume, according to the Brewers Association. Double Shift Brewing is brewing its limited-release Turk Kahvesi, a coffee stout with cardamom, and a collaboration beer with Messenger Coffee, a golden sour accented with blueberry, lemon peel and Ethiopian coffee. Look for bottle and draft releases in mid-April. Calibration Brewery (119 Armour Rd., North Kansas City, Missouri) plans to open for brunch on Sundays beginning in May. Brunch will complement the brewery’s full-service lunch and dinner Monday through Saturday. The brewery also plans to release several gluten-free ciders, such as I Never Knew You Raspberry Cider, in the next few months. – Pete Dulin writes about food trends for Flatland and is the author of The KC Ale Trail. Follow @FlatlandKC and #TapList on Twitter for more food news and trends. Kansas City Bier Company (310 W. 79th St.) taps its Festbier at 2 p.m.
Cinder Block Brewery and Hopcat (401 Westport Rd.) unite forces for Brinner, a brunch-inspired beer dinner ($30) at 6:30 p.m. The dinner begins with a welcoming cider-mosa made with French-style sparkling cider and fresh-squeezed orange juice. Beers on the menu include Northtown Native California Common, Block IPA, Barrel-Aged Belgian Wit with Brettanomyces, and never-before-released Bourbon Barrel-Aged Maple Retribution Rye Ale. Meet brewer Will Reece of Miami Creek Brewing at Grain to Glass (1611 Swift St., North Kansas City, Missouri) from 5 to 7 p.m. Grain to Glass will tap Miami Creek’s Lavender Saison. Reece will bring in samples of other beers and talk about his brewery. Fringe Beerworks (224 SE Douglas St., Lee’s Summit) releases its Freshly Squeezed Cherry Limeade Wheat, a variant of its Freshly Squeezed Grapefruit Wheat. The beer was originally made for Downtown Lee’s Summit’s Big Bash. It was inspired by sweet drinks at the drive-in delivered by carhops. Taps at 3 p.m. One crowler limit. Crane Brewing’s beers are the highlight at Parker at The Fontaine’s (901 W. 48th Pl.) Fork & Bottle Dinner Series. The five-course meal ($65 advance, $75 day of, excludes taxes and fees) includes beer and food pairings such as duck fat-poached pork loin with mustard seeds, castelvetrano olives, pickled shallots, and arugula paired with Crane’s Farmhouse IPA. RSVP at https://www.parkerkc.com/happenings/. International Tap House (403 E. 18th St.) hosts free trivia and features Piney River Brewing’s Missouri Waltz with Blackberries Sour Ale on tap. Torn Label Brewing (1708 Campbell St.) introduces Mansion Brew Imperial Wheat Stout (8.8-percent ABV), a limited-release version of its flagship House Brew available on draft and in 22-ounce bottles at 5 p.m.. The beer was made in collaboration with Thou Mayest Coffee Roasters. Cinder Block Brewery (110 E. 18th Ave., North Kansas City, Missouri) hosts a Wedding Showcase for brides to be. Grooms are welcome, too. There’s beer! Vendors to meet include CarrieOke DJ and photo booth, Samantha Jacob Photography, Halcyon Studio, and Found in Nature floral arrangements. Sample from Doughnut Lounge, Nothing Bundt Cakes and Cinder Block Kitchen. Quinton’s Bar and Deli (615 Massachusetts St., Lawrence, Kansas) taps Cream Ale, Pub Ale, and IPA from Grinders High Noon Brewery for the start of baseball season. Game on. Hank Charcuterie (1900 Massachusetts St., Lawrence, Kansas) and Crane Brewing team up for a beer pairing dinner with five courses and five beers ($60) at 6:30 p.m. For reservations, call 785-832-8688. The Big Rip Brewing Company (216 E. Ninth Ave., North Kansas City, Missouri) releases Foggy Haddonfield IPA, brewed by Big Rip assistant brewer Bri Burrows and members of Pink Boots Society. Named after Jamie Lee Curtis’ movie roles in The Fog and Halloween, the thrice-dry-hopped beer will be released as the movie The Fog screens (no charge) at 6 p.m. A dollar from every pint of Foggy Haddonfield IPA goes to Pink Boots Society. Colony KC (312 Armour Rd., North Kansas City) releases Broken Bat, a Cracker Jack-inspired ale, at noon for opening day of the Major League Baseball season. “This newest creation will celebrate the return of America’s pastime with a baseball glove-colored ale (orange-ish amber) with peanuts and caramel added,” Brewer Rodney Beagle said. Grain to Glass hosts a beer tasting ($15) with samples of Boulevard Brewing’s beers, including Vamos. EJ’s Urban Eatery (1414 W. Ninth St.) and Torn Label Brewing team up for a four-course beer dinner with a sublime menu. Hamachi crudo with fresno chiles, blood orange, basil and sorrel vinaigrette paired with Mother Medusa IPA; chicken liver pate with Oaxacan mole, pickled cherries, herb salad and grilled bread paired with Quadjillo Belgian Quad; marinated and grilled quail with black-eyed peas paired with Funky Monk Wild Ale; and ancho-cocoa-rubbed smoked beef short ribs and sides paired with Mansion Brew Imperial Coffee Stout. Lawrence Beer Company (826 Pennsylvania St., Lawrence, Kansas) releases its Maibock with a party featuring live music, yard games, and patio beers. Bier Station (120 E. Gregory Blvd.) welcomes Funkwerks as they raise funds for the Humane Society of Greater Kansas City. “Funkwerks for Pets” kicks off at 4 p.m., when all proceeds from a keg of Funkwerks Saison will benefit the nonprofit. Crane Brewing Company (6515 Railroad St., Raytown, Missouri) releases Heavy Haze IPA, a beer brewed in collaboration with a metal band. Enjoy the beer at the taproom and some heavy riffs from Druids, Keef Mountain and Sundiver at an all-ages show. Ten dollars for show entry and $5 off first beer. Five dollars admission for guests under 21 years and designated drivers. Kansas City Bier Company (310 W. 79th St.) hosts a Family Easter Festival for Ronald McDonald House Charities of Kansas City from noon to 4 p.m. Bring the family for face painting, egg decorating, an Easter egg hunt at 1 p.m., yard games from 2 to 4 p.m., and a raffle. Order a pint of specially-designated beer and one dollar from the sale will be donated to the charity. Grain to Glass invites guests to an Adult Easter Egg Hunt from 1 to 3 p.m. ($20). Hunt for eggs with tickets for some great prizes and enjoy a special spring pilsner (randalled with select spring herbs). Yankee Tank Brewing (807 E. 23rd St., Ste. J, Lawrence, Kansas) celebrates its third anniversary with an open house. Visit, meet the brewers, and enjoy anniversary beers and grilled meats. 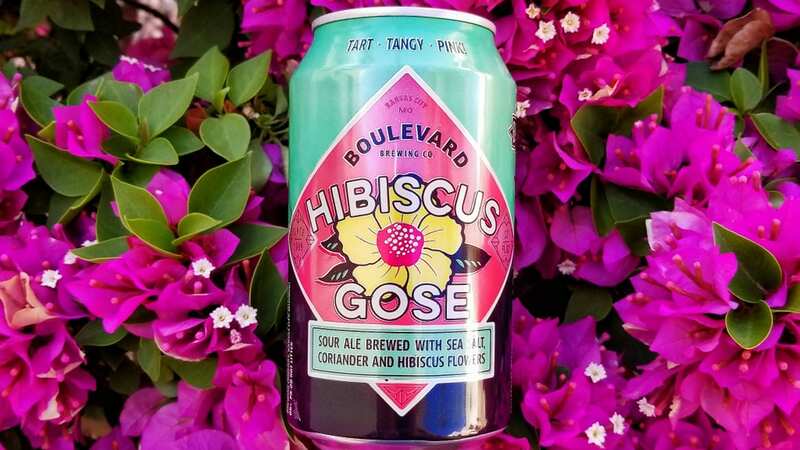 Boulevard Brewing’s Hibiscus Gose returns on draft and in six-packs of cans. The beer is a variation of a traditional German gose, a style produced as a low-alcohol, sour wheat beer. Gose has emerged as a popular low-alcohol style among U.S. craft brewers seeking to fulfill market demand for flavor-forward sour beers. According to ambassador brewer Jeremy Danner’s notes, the malt bill of gose features malted wheat combined with pilsner malt. Sea salt and coriander, two basic characteristics of traditional gose, is added during the boil. The sea salt evokes the “salty water of the region in which gose was born.” The addition of dried hibiscus flowers infuses the beer with a vibrant pink hue and imparts a subtle citrus and cherry flavor and aroma. Colony KC (312 Armour Rd., North Kansas City) releases WitQuake, a Milkshake Wit. Brewer Rodney Beagle has produced this beer as the first in a series of classic beer styles turned “milkshake.” As a spinoff of hazy New England IPAs, milkshake IPAs have developed as an unofficial style of beer typically made with lactose (milk sugar), hops with a tropical aroma and flavor but low bitterness, and often fruit. The result is a hazy, milkshake-type of appearance, sweet taste, creamy mouthfeel, and thick body. Beagle advances the trend by adapting milkshake ingredients and brewing technique from IPAs to other classic beer styles. “For WitQuake, we brewed a witbier, dry hopped it with lots of real banana instead of actual hops, and added lactose and vanilla,” Beagle said.